Skoda Citigo follows in the footsteps of VW up! 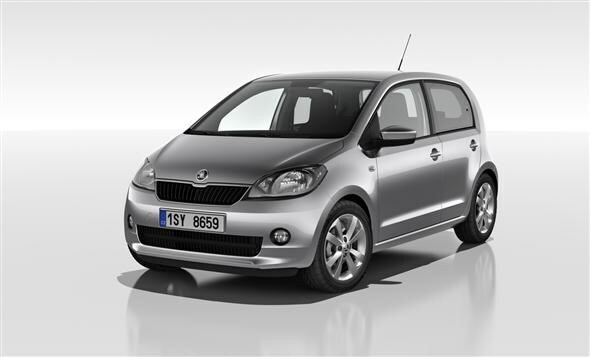 The new Skoda Citigo is set to get a little more practical with a five-door version coming in Spring. Skoda’s new city car, which is also available as the SEAT Mii or Volkwagen up!, is following the trend set by Volkswagen by announcing a slightly more practical addition to the range. The engine used in the five-door is identical to that of the three-door model. The 1.0-litre three cylinder engine comes with a choice of 60bhp or 75bhp. A Green tec version of the car emits just 96g/km, meaning it is exempt from road tax and showroom tax, while economy is a claimed 68.9mpg. According to Skoda, the Citigo ranks among the most compact and, at the same time, among the roomiest cars of it segment, which is a little confusing. It also gets some useful additions including photo and document holder, bag hook on the glove compartment and a range of net holders. Despite its diminutive size, the Citigo achieved five stars in Euro NCAP safety tests, while it’s also the first model from the Czech maker to get the brand's new logo. The five-door Skoda Citigo will be available from mid-May, the same time as the three-door version, and is expected to start at around £7,500.